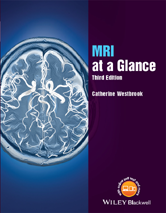 MRI at a Glance encapsulates essential MRI physics knowledge. Illustrated in full colour throughout, its concise text explains complex information, to provide the perfect revision aid. It includes topics ranging from magnetism to safety, K space to pulse sequences, and image contrast to artefacts. What do the quantum and classical theories tell us? 31 K space – what is it? 32 K space – how is it filled?